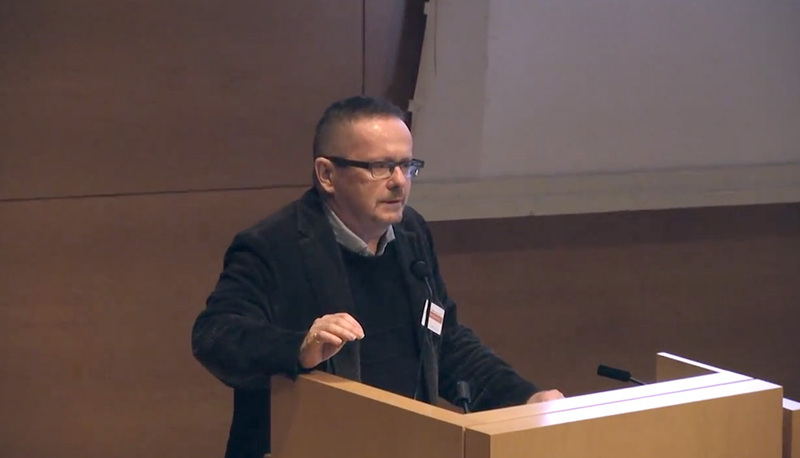 Michael McClelland spoke in 2013 to the Getty Conservation Institute’s “Colloquium to Advance the Practice of Conserving Modern Architecture.” The presentation discussed Toronto’s unique development of tower neighbourhoods in the context of modernist planning principles and modern heritage conservation. ERA advocates for an approach to the conservation of these neighbourhoods through a considered process of ‘Tower Renewal’ that understands not just the design value of the modernist buildings themselves, but also the context of the neighbourhoods they support and the progressive ideas they represent. The reference to “inefficiency” and “incredible opportunity” does not refer to all the towers in the city: Tower Renewal focuses specifically on the legacy of a significant residential building boom that occurred in Toronto in the immediate post-war period. This boom continued for over thirty-five years until the government incentives that had assisted it were eliminated. The construction of these apartment towers was part of a deliberate strategy to modernize Canadian cities, and this strategy was lead by émigré planners and architects who had witnessed remarkable renewal efforts in Europe. 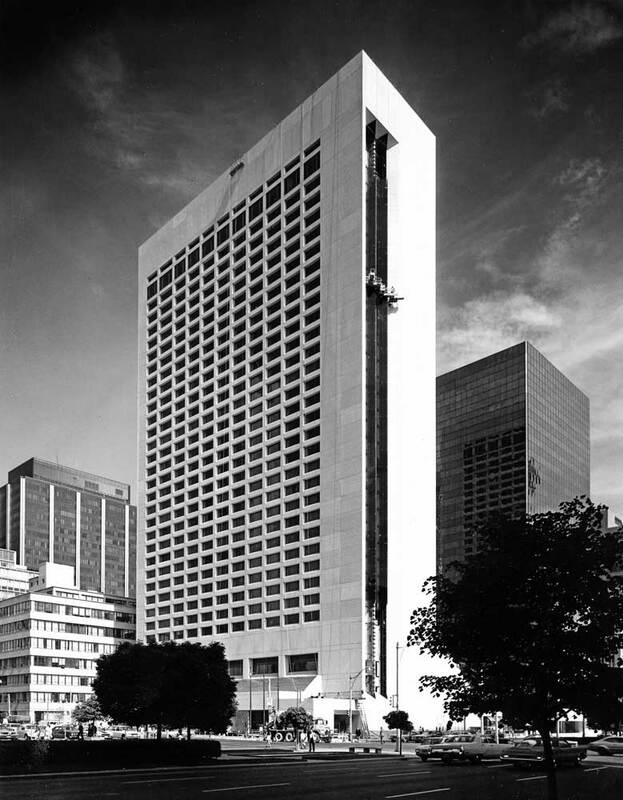 Where the professional planning community in Toronto had been quite small before the war, it now attracted many new members who brought with them modern, innovative planning ideas. The tower-in-the-park idea was a very simple formula: “taller buildings spaced further apart and with larger percentages of landscape areas can result in a better residential standard, even with a higher density” (Faludi 1963, 3). Modern European planning ideas were strongly felt in Canadian cities and they were supported by the Canada Mortgage and Housing Corporation (CMHC), which had been established during the war under the National Housing Act. The CMHC encouraged apartment construction over single family housing and in their mortgage programs they incentivized as much open space as possible on each lot, thereby favouring the tower-in-the-park model. Most of these new towers were constructed on greenfield sites within the city limits and were a deliberate attempt to contain urban sprawl and protect the outlying rural farmlands. So successful were these incentives, that during most of the boom, two apartment units were built for every new single-family house (CMHC). Today the Greater Toronto Area (GTA) still remains nearly twice as dense as comparable municipalities, greater Chicago for example. Toronto’s post-war towers are now on average about fifty years old, and they are facing similar challenges to other structures that have reached this age of perceived obsolescence. This has historically been a recurring problem, as each generation assesses the value of its recent past. Should they be considered as structures worthy of conservation? Given the sheer number of the towers, the notion that they might all be demolished and replaced by major urban renewal projects seems unlikely. It is more likely that they will continue to be needed in our growing city. For the last fifteen years, Toronto has been experiencing a second large building boom of tall point-tower condominiums, which are being developed at an alarming rate. But even with recent figures of 24,000 new units in a year (CMHC 2011), we do not appear to be meeting the needs of the city’s economic growth. So how should the City of Toronto consider the potential heritage value of these modern post-war apartment towers? The city and the GTA have been fairly successful in their efforts to conserve identified heritage resources. Our inventories of heritage buildings, which have been compiled since the introduction of the Ontario Heritage Act in 1975, currently total about 10,000 properties. The majority of these resources are individual properties and within the downtown core there are also several heritage conservation districts. The city has been progressive in having always avoided adopting a specific cut-off date for the recognition of modern buildings as heritage. 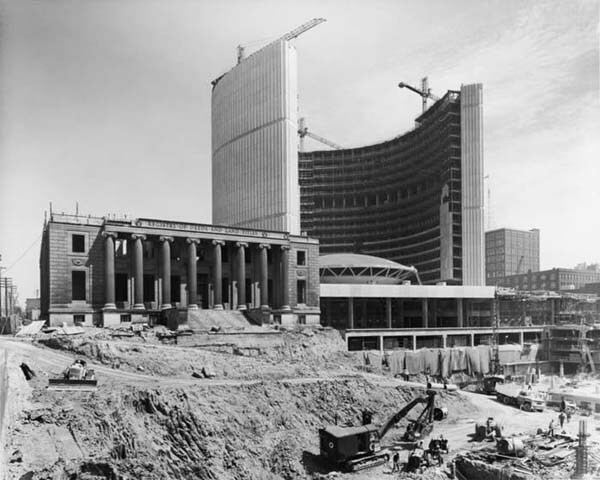 For example, Toronto City Hall, built after an international design competition in 1965, was designated only ten years after construction. But although a few modern-era buildings have been recognized, it would be fair to say the majority of the inventoried properties were built in the nineteenth and early twentieth centuries. 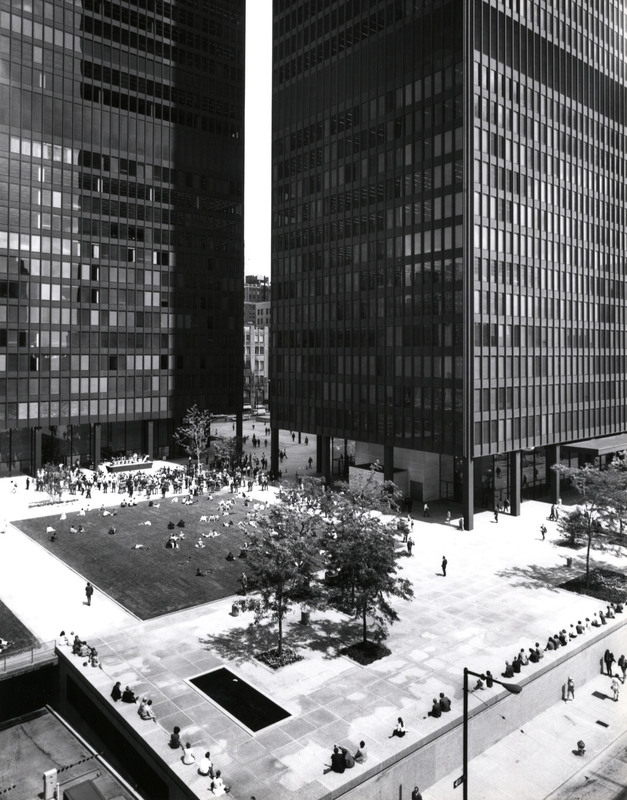 The examples of modernism tend to be iconic landmarks designed by leading local or international architects, Mies van der Rohe’s TD Centre, for example. The provincially-adopted criteria for determining cultural heritage value, which the City of Toronto is required to use, states that a heritage resource must have design value, historical value or contextual value to be worthy of designation. The evaluation process, for example, considers whether a property is “a rare or unique or representative example of a style, type, expression, material or construction method.” It considers whether a property has associations that reflect “the work or ideas of an architect, artist, builder, designer or theorist who is significant to a community,” and contextually, whether it is a “landmark” (Ministry of Culture 2006, 23). These criteria are quite reasonable, and can be found in many other jurisdictions, but there are several concerns with applying this traditional approach of heritage evaluation to a larger grouping of aging post-war towers. It is valuable to consider these concerns, and to understand what alternatives are possible. I should first say that I think the direction I would recommend is to retain this traditional evaluation process for the unique, rare, and extraordinary, but that we need to address our larger built environment through a more considered lens. An example from England provides some context. English Heritage recently prepared a definition for the “historic environment,” which states that this historic environment “is all around us as part of everyday experience and life, and it is therefore dynamic and continually subject to change” (English Heritage 2000). By broadening our definition to consider this historic environment, we can see heritage as a constituent part of a larger concept, and we may modify how we approach heritage conservation as a whole. Consider the issues of prejudice, bias, and stigma currently felt about many of these apartment towers, as is felt internationally and generally about many of the buildings of the post-war period, particularly if they have exposed concrete structures. Juan Pablo Bonta, in his 1970s Architecture and its Interpretation, outlined how the cultural significance of architecture tends to progress: First, a period of blindness, where buildings are simply ignored or given little or no consideration. Second, a pre-canonic period where discussion occurs, pro and con, and where various and sometimes competing views are put forward regarding the cultural value of a particular architecture. And, finally, this is followed by the creation of a full canonic interpretation where a consensus can be found on the merits of the building by experts in the field. Currently a consensus on a canonic interpretation can easily be found for many buildings in North America, if they are about a century old. The traditional heritage evaluation process is simply a codification of that interpretation. But for buildings of the post-war period, with some exceptions, it remains the rule that we are still in Bonta’s periods of blindness, or pre-canonic discussion at best. 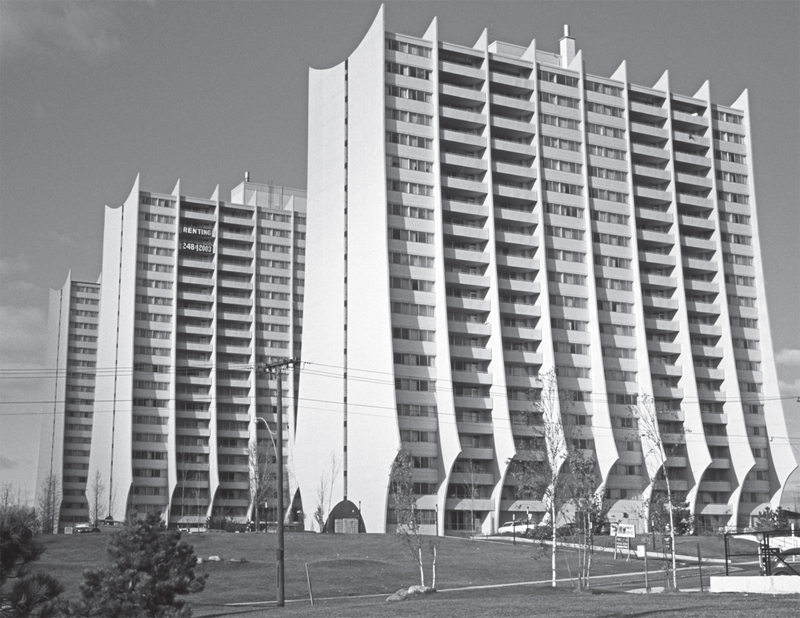 With Toronto’s towers, some of that discourse has occurred, so that the subject has been published in the DoCoMoMo journal that Miles Glendinning did in 2008 on Postwar Mass Housing, and in the APT Bulletin 2011 special issue on Modern Heritage. Yet it is not clear at this time that there is a canonic interpretation nor that sufficient discussion has occurred for such an interpretation to be fully formulated. So, as with much of the architecture of the recent past, it is not possible to fully confirm the cultural value of a resource using the traditional methods of evaluation. Consider also these issues of prejudice, bias, and stigma as they are felt at a public and community level. Toronto’s post-war towers are home to much of Toronto’s very diverse immigrant communities, and many are areas of poverty. To understand current cultural value, it is has been necessary to work with agencies who usually address social issues, not necessarily heritage issues. 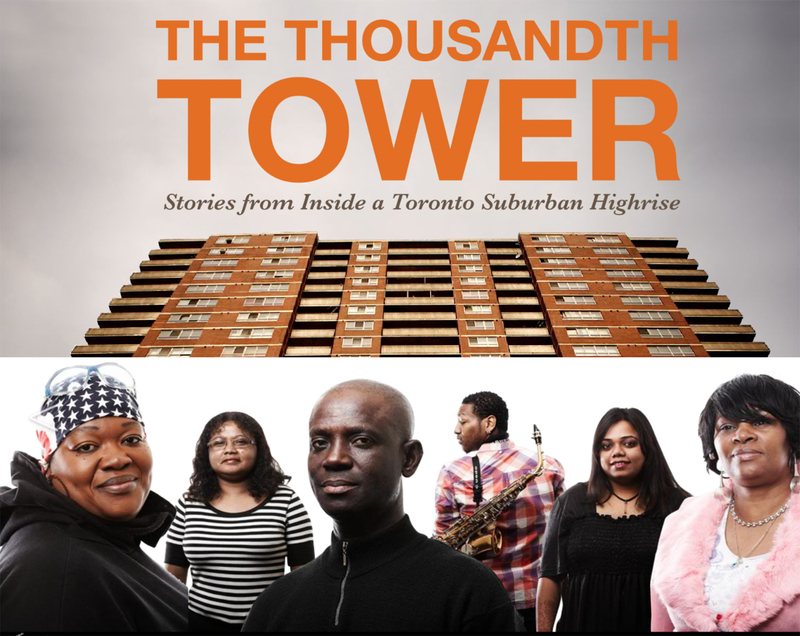 For example, the National Film Board of Canada, interested in who lives in the tower neighbourhoods, began a series of what they call interventionist films – where films would actively engage with communities to understand what they felt about the towers they lived in. Interestingly, the strong negativity that had been anticipated did not surface, but what did was a great interest in making things better, improving maintenance, and in engaging in change. In fact, a recent in-depth survey done by the United Way of Toronto indicated that of the more than 2000 residents surveyed, 75% thought their apartment neighbourhood was a good place to live. 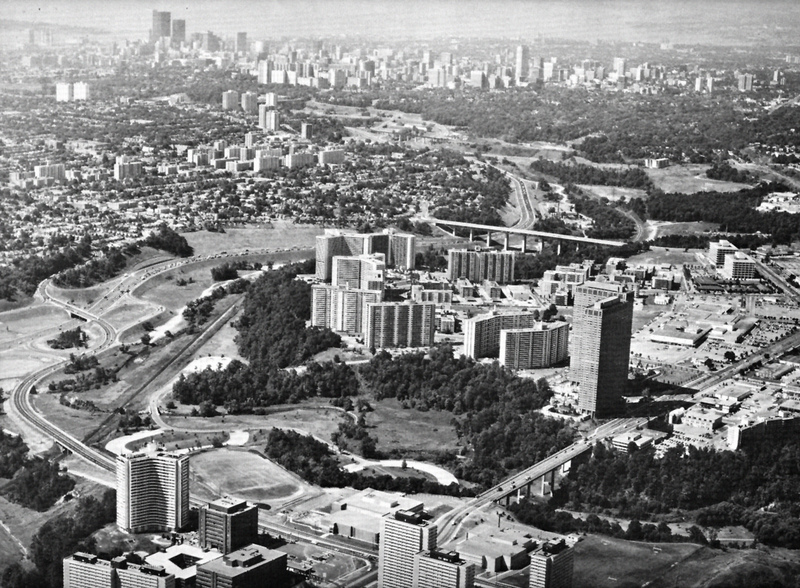 Community concerns were primarily focused around the fact that Toronto’s original zoning for the towers-in-the-park was heavily restrictive and had not changed to reflect the very different demographics that occur today. The evaluation of heritage resources has always relied on an appreciation of the resource by a community, and it is the community that gives the cultural resource its significance. The provincial criteria for establishing cultural value repeatedly emphasizes value based on its relevance to a community. But traditionally the community interested in heritage has not always been those who live in the neighbourhood. Within neighbourhoods, that has meant that the interests of heritage conservation could be seen unfortunately as representing a type of gentrification, a type of elitism, and a potential tool for displacement of existing residents. This has certainly happened in many of Toronto’s older downtown neighbourhoods, once working class communities and now rather up-scale heritage conservation districts. Evaluating the heritage and cultural values of a place needs to include understanding the communities that live there and the patterns of use they create. Toronto’s apartment neighbourhoods are immensely diverse, and it is inevitable that the cultural values of these neighbourhoods reflect that diversity. This idea that heritage value forms part of a larger environment has meant that the tools for analysis must change. Rather than an individual analysis of building by building, which is traditional in heritage conservation, the analysis has been typological and survey-based. 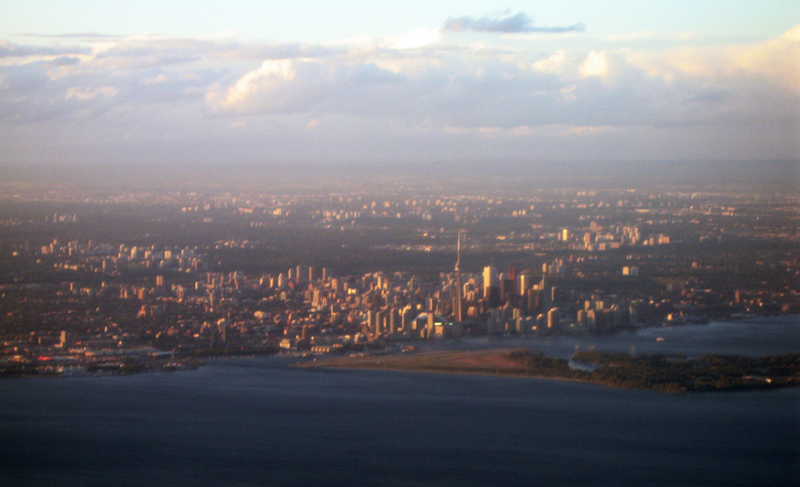 A 2010 study commissioned by the Province of Ontario’s Growth Secretariat and Ministry of Infrastructure outlined the extent of the towers using classified municipal taxation data. 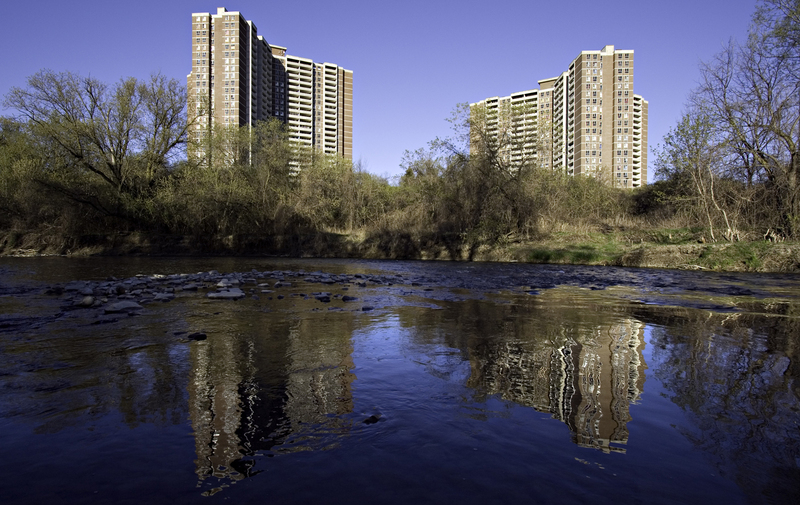 The study examined Toronto and the area around Toronto, called the Greater Golden Horseshoe, and catalogued 1,925 post-war apartment towers (eight storeys or more) plus an additional 1,155 lower-rise apartments (five to seven storeys) from the same period. Jointly these buildings contain 496,591 apartment units, constituting about 20% of all the housing in the larger study area and about a third of all housing in the City of Toronto (Ministry of Infrastructure, Centre for Urban Growth and Renewal, 2010). This study also quantified the towers in relation to clusters, showing that over 60% of the towers were in groups of five or more, meaning that the buildings could not really be seen as individual structures but rather as planned neighbourhoods with the potential significance of the place – its potential heritage value – resting equally amongst the professional fields of planning, architecture, and landscape architecture. This analysis of an aging building stock as a prominent urban typology addresses more than heritage concerns. It melds the work of heritage conservationists interested in understanding and appreciating our recent past, with the work of many others. From a planning perspective there is an interest that the density existing in these apartment towers can help plan new infrastructure within the city, such as currently proposed light-rapid transit lines. For energy conservationists, this building stock suggests significant ways to improve energy consumption at a regional level. In 2009 the University of Toronto developed retrofit guidelines for these post-war towers. Again this work was approached on a typological level rather than the building-by-building condition analysis that is the basis of traditional heritage conservation practice. The study indicated that these apartment towers, particularly the earliest towers, were energy inefficient – showing that each unit was often 20% less efficient that a single-family house of the same period – but that they were remarkably easy to retrofit that may affect the city’s overall carbon output. These collaborative studies based in a cross-disciplinary approach to understanding an existing built resource are, I think, a necessary shift in the way we can address modern heritage as part of an overall evolving context, a historic environment. And the heritage perspective on this, the ability to provide and understand the historical background of a built environment, is an important component of this approach. 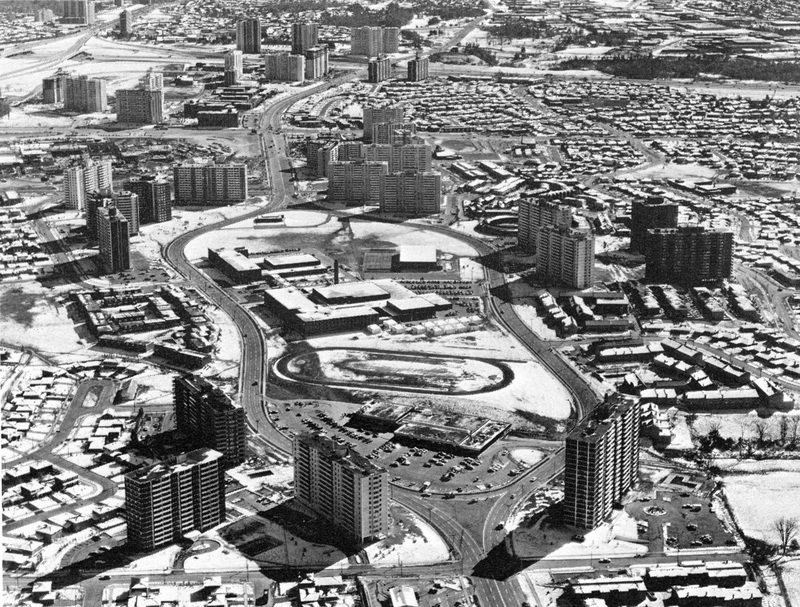 It has perhaps been easy to reject the planning ideas of the post-war period, to forget that the CMHC and Metro planner’s strategy to control urban sprawl was a good one, and that many of the basic principles of planning demonstrated in the tower projects were sound. Their basic failings were that they were too dependent on the automobile and did not foresee the dramatic demographic shifts that would occur over the following decades. And it is clear that current condo boom in Toronto could learn a great deal by more carefully understanding the strengths and weaknesses of the previous boom. 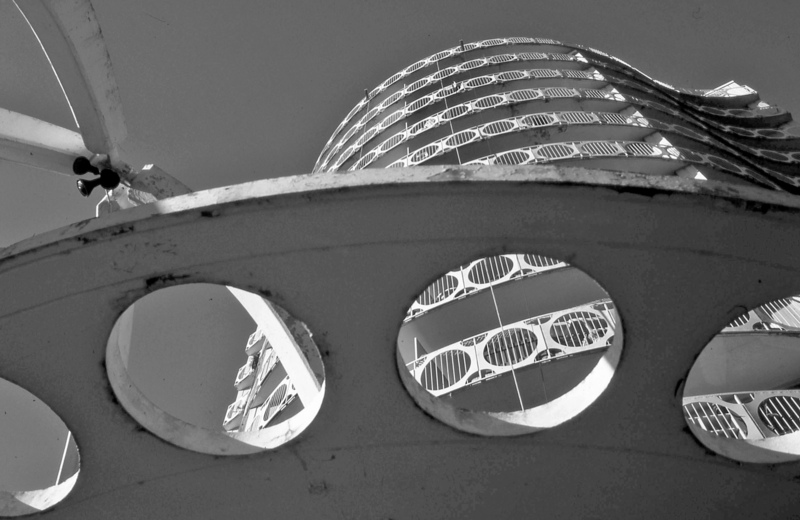 Our assessment is that the post-war towers reflected largely good planning, that they are solidly constructed buildings, and that they are a worthwhile and underappreciated resource. They reflected the best practices of their time, and innovative methods are now necessary to conserve them as a cultural resource. Along these lines, in late 2012 the city approved a new zoning category, developed in partnership with United Way, Public Health and City Planning, that will replace the current zoning occurring in Toronto’s tower apartment neighbourhoods. This new Residential Apartment Commercial (RAC) zoning will unfreeze the very strict zoning envelopes that currently exist and allow for an environment that can be “dynamic and continually subject to change.” This use of zoning, as a policy change, will help to revitalize and extend the life of these places. This Tower Renewal program requires us to re-examine how we value heritage, architecture, urban fabric, and culture. It is interesting to consider, for example, that even the visionary Jane Jacobs, who made Toronto her home for over forty years, like many others characterized Toronto as “a city of neighbourhoods” – and these tended to consist of tree-lined streets in mature and stable downtown areas, like the Annex neighbourhood, where Jane Jacobs lived. But with the emerging public appreciation of Tower Renewal, a newer more complete vision of the city is appearing. It includes the suburbs, it includes mixed ethnic communities, and it includes the rough new vision of post-war modernity. As the city suggested in the quote mentioned earlier, this new vision really does represent an incredible opportunity. Bonta, Juan Pablo. 1979. Architecture and its Interpretation: a Study of Expressive Systems in Architecture. London: Lund Humphries. English Heritage. 2009. “Government Review of Policies Relating to the Historic Environment.” Accessed January 15, 2013. http://www.britarch.ac.uk/info/ehreview15.html. Faludi, Eugene. 1963. “Report on Apartment Building Development in East Annex Planning District.” Toronto: E. G. Faludi and Associates, Town Planning Consultants Ltd.
Ministry of Culture. 2006. “Heritage Property Evaluation.” Accessed January 15, 2013. http://www.mtc.gov.on.ca/en/publications/Heritage_Tool_Kit_HPE_Eng_large.pdf. Ministry of Infrastructure, Centre for Urban Growth and Renewal. 2010 Tower Neighbourhood Renewal in the Greater Golden Horseshoe. Toronto: Graeme Stewart and Jason Thorne,.